The Russo Brothers are coming out to play, and we can dig it. 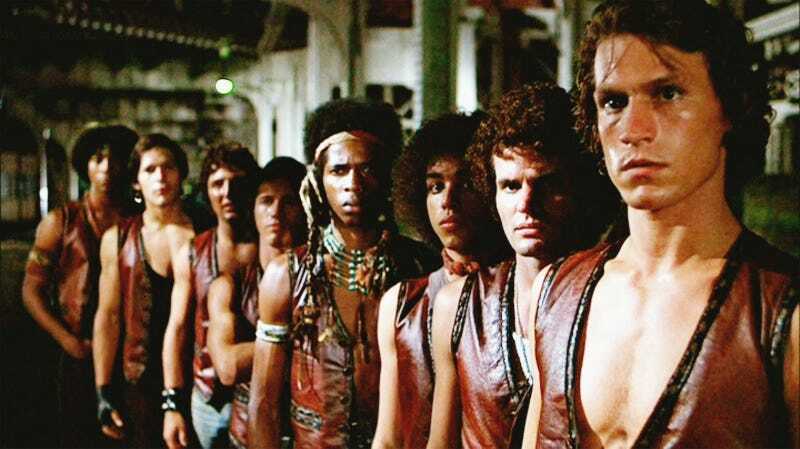 After directing this summer’s Captain America: Civil War, the brothers will produce an adaptation of Walter Hill’s 1979 cult classic The Warriors into an hour-long drama for Hulu. The Warriors takes place in a gang-dominated New York City, where one leader tries to bring them all together. He’s then murdered and all the other gangs blame the Warriors for his death. The Warriors then must traverse the city as they’re being hunted but all these colorful gangs to get home to Coney Island. Hill’s film was originally based on a novel by Sol Yurick. How much the Russos will draw from that or take the concept beyond its seemingly confided storyline is still a mystery. But there’s no doubt The Warriors is a great candidate for a gritty, hour-long show.